Orion Wine Software is the perfect partner for a winery, wine club, wine distributor, wine sales broker, or wine importer. Orion’s winery software products represent the most well-established information tools available. Blend, WIMS, WiPS and DarWine come together to create Orion’s complete wine technology solution. 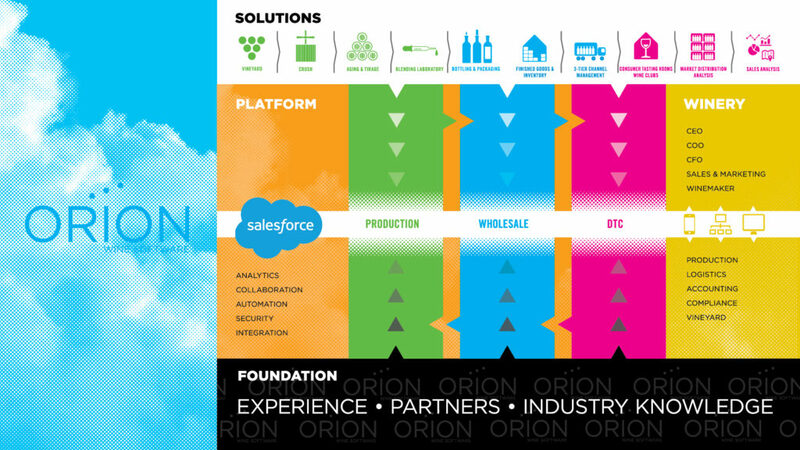 Orion Wine Software has been helping wineries manage their businesses with our innovative solutions for over 25 years. Orion currently supports more than 300 wineries worldwide. Our exceptional commitment to the wine industry and product improvement has established Orion Wine Software as the first choice for unsurpassed wine software solutions and services.